If you need to attend a wake after someone has died, it is correct etiquette to offer a token of sympathy. 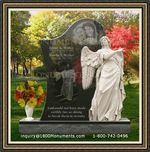 You can send flowers or memorial cards for funeral services. These gifts are typically offered to the family of the deceased. They are given during the wake or a few days after the interment. You may offer flowers as most traditionally do. Flower baskets are usually given during the wake. There are certain blooms that are appropriate for the occasion. Carnations, white lilies and roses are common blossoms given to the family of the deceased. They are usually offered with a sympathy card from the sender. If you want to give something that will last a lifetime, consider giving a plat or tree. You may present this in a small pot at the funeral service. You can also send it to the residence of the grieving family. 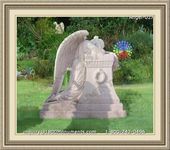 As a lifetime remembrance to the dead, the plant or shrub can be planted in the garden. If the dead had patronized and supported a charitable institution, you can also offer your condolences by making a donation to the charity. This is a common alternative to sending flowers. 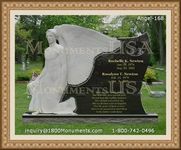 Your monetary offering can be made in honor of the dead person as remembrance to his dedication to his charitable cause. 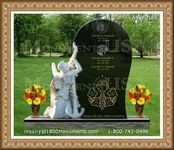 You could present the family of the deceased with a memorial guestbook. Don't just get any booklet off the shelf of a bookstore. There are custom-made books that have the name and other details about the dead engraved on the booklet. This is something that is often necessary at memorial services. You should look at some memorial or prayer cards. You may get one that contains a printed message or quote or you may write your own note in a blank one. You could send it by mail or attach it to a basket of flowers. You can also bring it to the memorial service personally.